There were a couple of plump zucchini in the garden this morning, and one little ribeye steak in the fridge leftover from the holiday weekend. 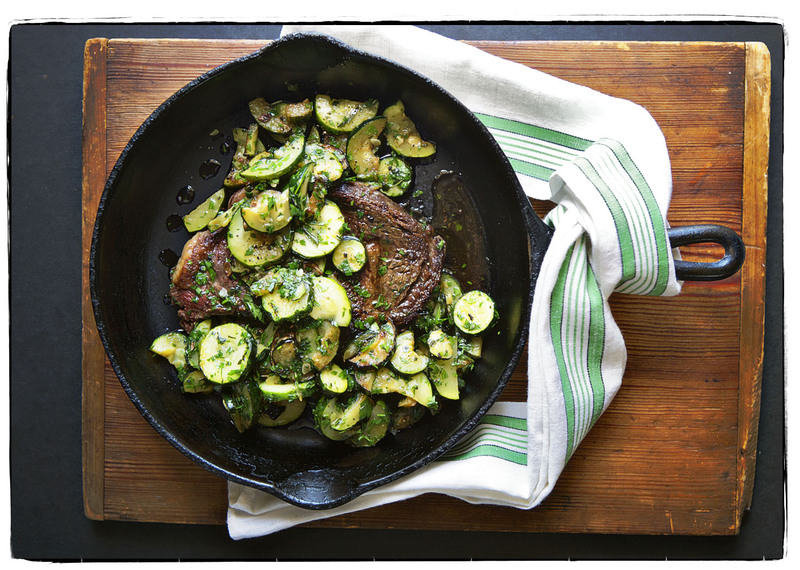 We seared the steak in a cast-iron skillet to a nice pink medium-rare, then piled on sautéed zucchini tossed with really good olive oil, and chopped fresh tarragon and parsley. Welcome back to the rest of our lives!